1. Mix the Greek Taverna Blend and water together in a mixing bowl. 2. Mix in the Dijon mustard, honey and balsamic vinegar. 4. While whisking, slowly add the oil until combined. 5. Set the dressing aside. 6. 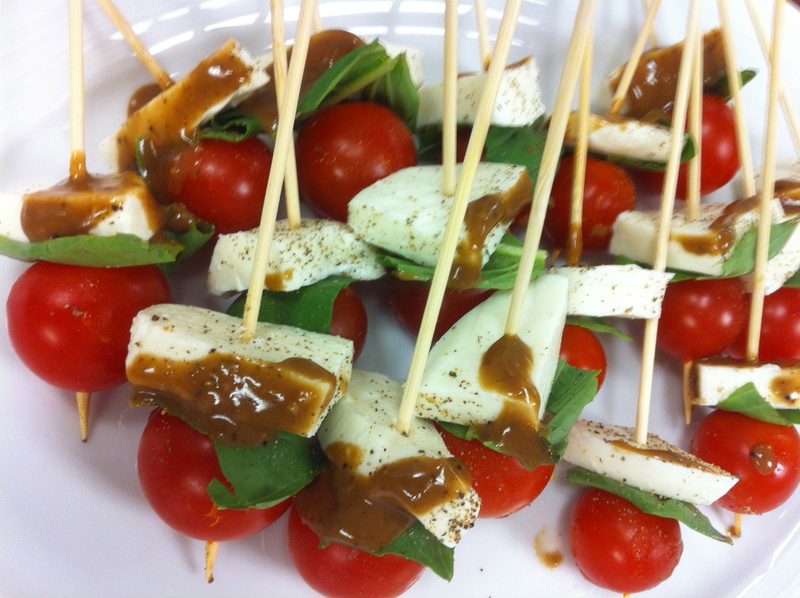 Prepare the skewers by adding a cube of fresh mozzarella, followed by a basil leaf, followed by a cherry tomato. 7. Drizzle a little of the balsamic vinaigrette over the the skewers. 8. Top with some fresh cracked black pepper.